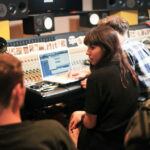 Home » Diymb Blog » My Top 5 Music Licensing Companies (Libraries) – Money Making Machines! None of them are a waste of time (imo) they just cater to different people. Some people are ok with giving up a set % of their publishing or paying a membership fee (or submission fee) to submit their music to projects. I can’t tell you which music library is right for you, there are lots of different tiers, but I can tell you about 5 that are responsible for most of my income (when it comes to licensing). Below are a few things you need to know about music libraries before joining. 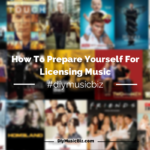 What Do Music Licensing Companies Do? They play the middle man between music creator and music buyer. Music libraries have a system/platform that allows media creators to search and purchase music for their projects. Where Can I Find Music Libraries? I call this the “hot dog stand” question. It depends on how many music libraries you’re with, how many songs get placed and what your percentage is. If you never get a placement, then you make nothing. This is great information. i have been wanting this stuff for a long time. It is time to make some money! great job on these videos! Great this is very informative. I have one question. Can you upload the same songs to all of them or is that illegal? Like, do you have to reserve songs only for one place or can you upload to as many areas as you’d like? Yes you can upload the same songs to multiple libraries (if they’re non exclusive libraries). Make sure you read the terms and conditions carefully. I’m more of a composer/sound designer with the whole classical training background…. What are your top 5 again? What are their web addresses? I liked your video, Ive sent you an invitation to link on linkedin. Tell me more about DIYMB. I have (I think) some nice tracks. I’m glad you liked the video , I’ll be posting more soon. I’ve added you on linkedin contact me. Greg, I’ve been following your site since November and I wanted to thank you for posting this video. I just got the greenlight to submit music to Pumpaudio and it’s good to know there are people out there making money from them. Thanks for following, Taxi is great imo I wish you success with them. You just have to keep plugging away. Great article, have you ever tried BroadJam? If you have would you mind sharing your opinion of them? I’ve heard a lot of about BroadJam, but have never used it personally. I might give it a try in the near future. Great post! I was wondering if you have heard of music clout and blazetrak? If so what is your thought on those sites? I’ve heard of both, but I’ve never used them. I’m not a real big fan of being charged a fee to submit music. I try to keep my submissions to those type of sites to a minimum. keep up the good work. I’ve been following your videos for a couple of months now. Just jumped on board with the music licensing challenge, thanks for doing this for us. Thanks for your support Carl! This is a great video, I’m interested in knowing about the other libraries you use as well. Can I email you? Of course, use the contact tab and lets talk. Awesome post. I’ve been trying to get my foot in this door for a long time. Do you think songs with vocals have a better chance vs instrumentals? It really boils down to how you want to run/operate your business and the terms and conditions of the library. I’m fine with stock music libraries as that’s where a good% of my licensing income comes from, but if the terms aren’t fair or good enough, I pass on the library.